Easy to put on, construction clip suspenders (also called "alligator clips") are one of the fastest ways to add interest to your outfit. 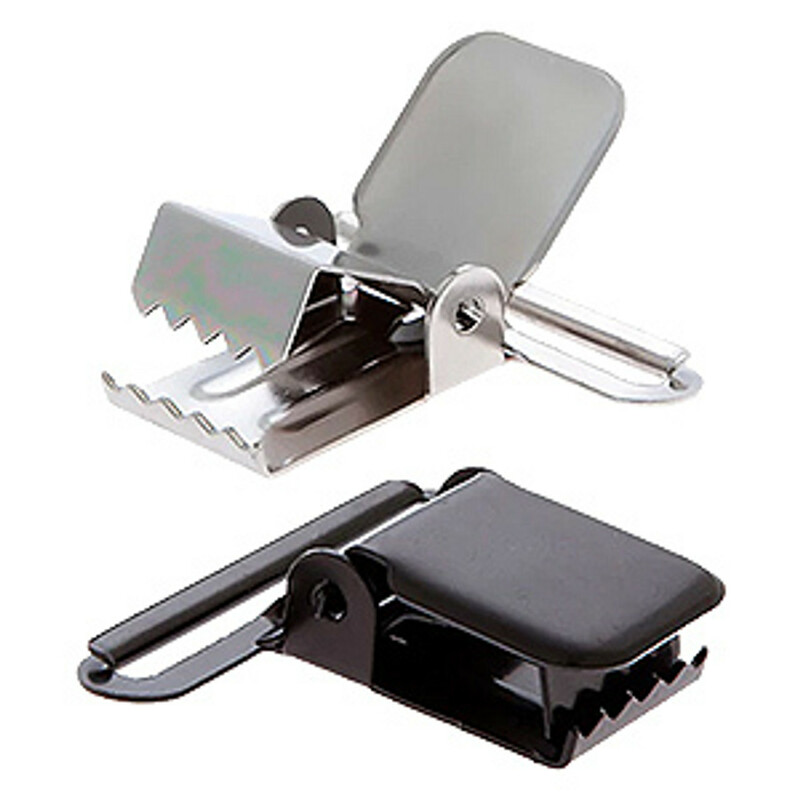 Construction clips have "teeth" that grip the top of the waistband of pants as firmly as an alligator's bite. They are one of the most common types of suspender attachment. This style of clip measures about 1" wide and is perfect for the novice suspender-wearer or for anyone who prefers a no-fuss approach to dressing each morning. These clips are most often found on our 1.5"-inch and 2"-wide suspenders, including our work suspenders which are intended to hold up the heavy tool belts of craftsmen and law enforcement officers. These clips are either nickel or black - depending on the color and pattern of the suspender on which they are being used. In addition to wearing suspenders with construction clip attachments on the job, they are a stylish accessory to wear on your days off. While suspenders are typically considered formalwear, clip-ons are perfect for creating casual outfits. They look especially dapper with jeans, shorts, khakis and other relaxed looks. Wear them on your days off for dinner with friends, hanging out on the weekends and other special events. Although clip-on suspenders are convenient to wear, not all clip-ons are made with the same quality materials and attention to detail. The vast majority of our suspenders are made in the U.S., and all of our clip-ons are made using some of the strongest hardware available, ensuring that your suspenders are made to last. Better still, they will not damage the fabric of your clothing. 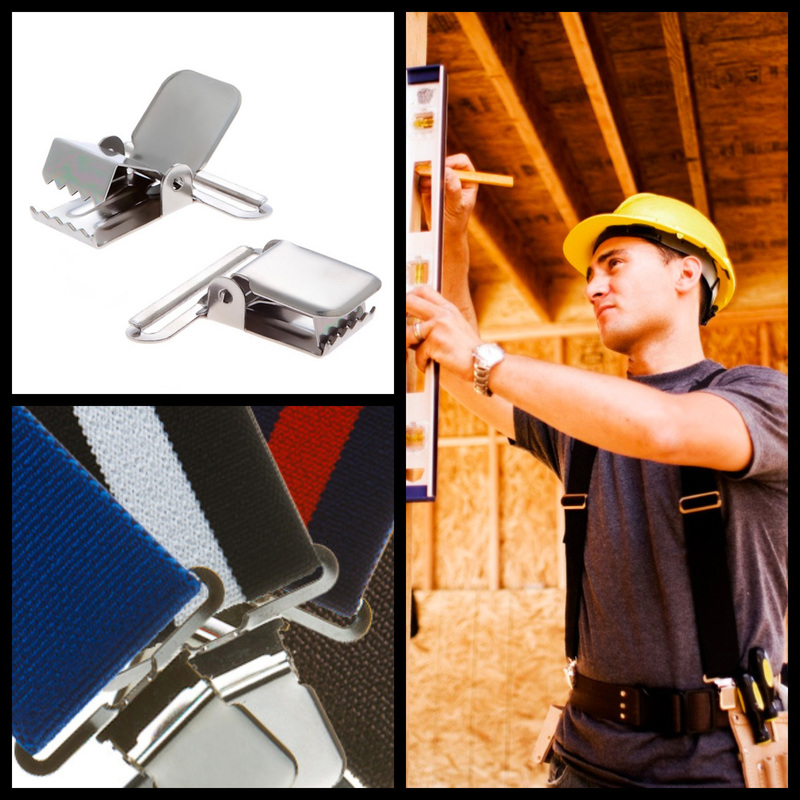 When attaching construction clip suspenders, it is important NOT to attach them to the belt loops of your pants as this will put stress on the clips, causing them to wear out quicker. Place them instead on the top of your pants on either side of the belt loops.